Our walk made us thirsty. 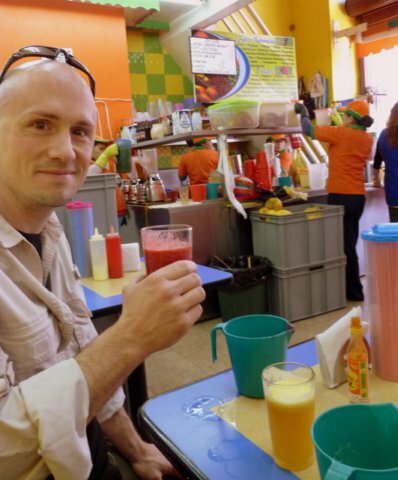 Luckily Ecuador is known for its fresh fruit juices, or "jugos"! Matt samples fresh strawberry at a jugo bar.